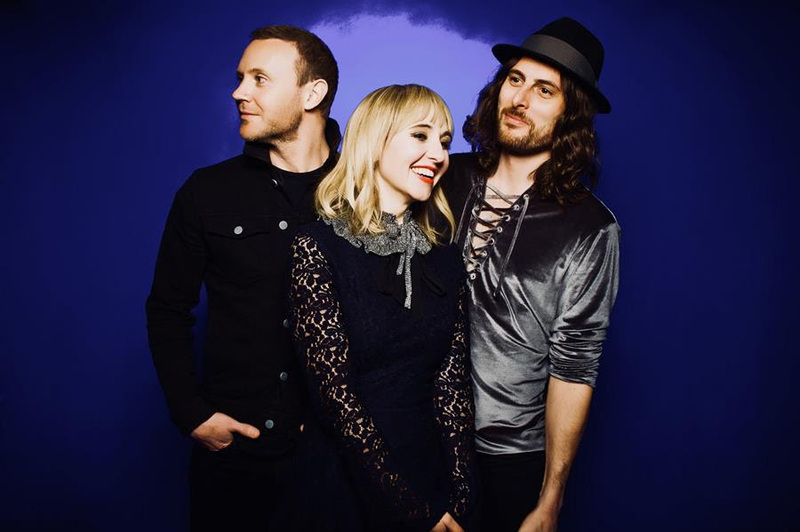 The Joy Formidable, as anyone who has done their research or was around in 2012 knows, once supported the Foo Fighters. After their first album they were tipped for big things, but they seem to have gone backwards since then. AAARTH comes after 2016’s disappointing Hitch, which failed to better their 2013 album Wolf’s Law and didn’t receive the same attention as their previous two albums. Can The Joy Formidable climb to a new level on AAARTH? To put it bluntly – maybe. Opener Y Bluen Eira is a wonderful Welsh-language slice of operatic, bombastic rock, building up to a glorious crescendo; while The Wrong Side is a soaring, searing piece of what sounds like an escapist Queens of the Stone Age. The themes of nature and escape, as well as relationships, dominates the album, scattered across every song. Go Loving is the first ‘meh’ song on the album, offering pretty basic garage rock and not much else – if I were unkind, I would suggest it sounds like an early Joy Formidable B-side from the The Big Roar era. Cicada is a surprising vignette, with menacing Spaghetti western acoustics and surprisingly a sitar. It’s dirty, grinding and tough, and it’s glorious to hear. It’s the sound of a band testing their comfort zone while doing what they do best – a statement that holds true for the whole album. On my first listen I said that this was the best song on the album and I don’t think I was too far off in saying that. There are a few challengers certainly, but Cicada offers both something new and what we’ve already come to love from TJF. All in All is a welcome quiet moment, vocalist Ritzy Bryan genuinely sounding both soothing and vulnerable herself. It’s a genuinely touching, quiet song, featuring more left-field elements for a rock group, this time featuring background strings. When it peaks, crashing into a guitar-driven tsunami, it’s earned it. The next two songs, What For and The Better Me are good enough, and the former has interesting ideas in an American twinge, but neither are really great – although (as ever) the musicianship from Bryan, Matt Thomas on drums and Rhydian Dafydd on bass is excellent. Absence is another beautiful piano-driven lament, quiet and peaceful, Bryan’s voice sounding excellent. It’s the last real hurrah on the album however, with the last 3 songs offering very little compared to what came before them – just overblown guitar rock that overstays its welcome. A little more trimming would have been very welcome, as the operatics go into overdrive. By the end I hoped I’d never hear another whirring guitar over a 2/2 beat ever again. AAARTH is a sound of a band trying – and succeeding – at something a little left-field within familiar parameters. When it comes off, as heard on Cicada, it’s magnificent. Ironically, the album is let down by the more familiar Joy Formidable material, which just becomes too repetitive and tiring by the end. What doesn’t help is that the album is front-loaded, with all the really good, memorable songs at the beginning and the quality slipping towards the end. While creative, bombastic and ambitious in parts, AARTH is ultimately a patchy album that could do with a little more restraint around the edges. Previous Space Tourism: A Great Step for the Many or a Privilege for the Few?